Permindar Kaur removes the domestic and the familiar from their everyday surroundings and transforms them to produce disquieting results. The experience of her work can be unnerving, like visiting a deserted house or an abandoned institution. Feelings of containment and anxiety are explored through figures and objects, some of which are enticing in their sensual beauty while others produce feelings of entrapment. She has always been particularly interested in relating her work to the site in which it is placed. Ikon Gallery, as part of its policy of giving artists opportunities to make new work, has therefore commissioned her to make a new installation for the gallery. The artist’s response to the space reflects her continuing interest in the domestic environment. 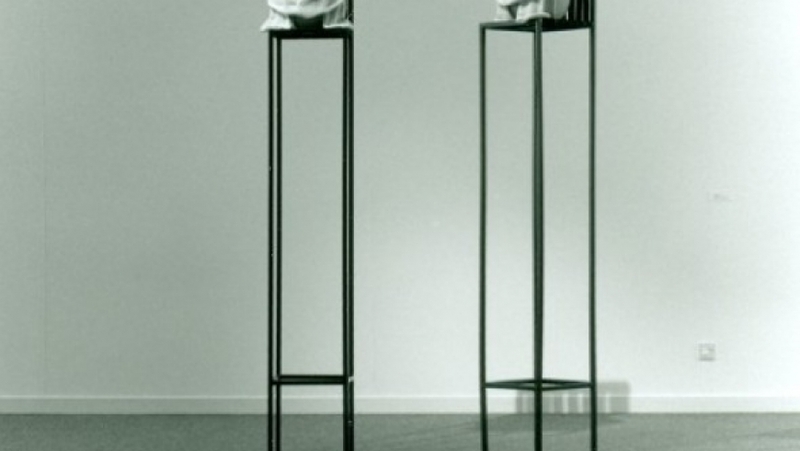 The tall bed structures, placed in the white walled gallery, subvert notion of privacy, intimacy and comfort. A thought provoking twist is given to mundane domesticity. The works on show at the Mead Gallery maintain a sense of subversion. They include work made in Spain last year as well as more recent work made on the artist’s return to the United Kingdom. The installation is part of a series of exhibitions, commissions and residencies at Warwick Arts Centre designed to encourage and promote new work across a variety of art forms and across different venues. We hope that visitors will take the opportunity to visit both parts of the exhibition, which together provide an overview of Permindar Kaur’s recent work. We are very grateful to Jose Lebrero Stals and Claire Doherty for their perceptive essays, to the Arts Council of England for support for the catalogue through the Artist’s First Time Publications Scheme and to Traditional Structures Ltd for providing the steel for the Ikon installation. The artist would like to thank Nicholas Lister from Arc Studios, Simon Withers and Kamay Kaur. Above all we must thank the artist for her commitment to this ambitious project and for the energy and thoughtfulness she has brought to it.